The participating Eurolife institutions are Leiden University Medical Center (The Netherlands), Karolinska Institutet (Sweden), Medical University of Innsbruck (Austria), Universitat de Barcelona (Spain), University of Edinburgh (United Kingdom), University Medical Center Göttingen (Germany), University of Strasbourg (France), Trinity College of Dublin (Ireland) and Semmelweis University (Hungary). The goal of this call is to promote leadership and collaboration of the research staff of Eurolife institutions who intend to apply for H2020 calls. This funding will cover the initial costs of grant preparation to apply for Horizon 2020 funding. Applicants to this call must be Principal Investigators (PI) based at any of the 9 Eurolife institutions, holding a contract of employment which covers the duration of the grant. A PI may submit just one application to this call, with the exception of two-stage proposals, where the same PI may submit an application in support for the stage 1 and another application in support for the stage 2. The grant must be used to cover the travel and accommodation costs of a PI and/or Eurolife collaborator to participate in a meeting focused on the preparation of a H2020 research proposal (e.g. one/two-day meeting at a central location with the PIs (and support staff) from the Eurolife institutions and optionally other partners). The H2020 proposal must match a H2020 call. The total funding available for these grants is €40,000. Each Eurolife institution participating in any given proposal will be awarded a maximum of €2,000 per kick start grant. Each granted kick start proposal will be awarded a total maximum of €8,000 (thus up to four granted participating Eurolife institutions). The call will be open until the available funding is depleted. The H2020 proposal should be focused on research, innovation or knowledge transfer in medicine or biomedicine. The project should include a minimum of three (3) Eurolife institutions/partners as beneficiaries of the project. 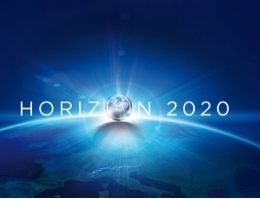 Participation in the H2020 proposal can be as a coordinator or as a partner institution, however priority will be given to the projects with a Eurolife institution acting as coordinator. Mono-beneficiary programme calls (i.e., ERC) will not be funded. Eligible costs include travel and accommodation costs for researchers, Eurolife administrators or advisors for European research grants (support staff) from Eurolife institutions to attend proposal preparation meetings. Summary of the project to be applied to in H2020 (not exceeding 1 page in length). Project preparation activities must be clearly described as well. A list of the planned members of the consortium who will apply for the project (Eurolife institutions and other potential partners – higher education institutions, research centres, SMEs or industries). A proposal of funding distribution between the Eurolife partners must be included (if needed). Documents should be signed and sent in pdf format to the General Eurolife Administrator. Kick start grant proposals can be submitted at any time. The call will be open until the available funding is depleted. Projects with a Eurolife institution acting as coordinator. The Eurolife Steering Committee will communicate the decision within one month from receipt of the correct and complete proposal submission. Details regarding the awardee of Eurolife Kick Start Grants will be published on the Eurolife website. A final decision on each application will be communicated via e-mail to each applicant. A supporting report of the funded costs must be submitted by 30 days after Horizon 2020 research project application, by the awardee (PI/primary applicant to this call). This report should list the actions carried out with the Eurolife funding (not exceeding 1 page in length) and a copy of the H2020 research project application. A clear justification must be presented in the case that a H2020 application has not been completed/submitted. A financial report justifying the preparatory costs related to the project must be provided. The awardee must inform the General Eurolife Administrator about the final decision of their Horizon2020 research project application in due course. The payment of the grant will be made via bank transfer and only to the bank account of the home institution of the granted researchers. The home institutions will manage the payment transactions to their research and support staff. The Eurolife Liaison Officers are responsible for coordinating the process of the payment of the granted costs to their staff participating in a given proposal and for acting as liaison between their institution and the Eurolife Coordinator Institution about the reimbursement of unspent funds. This may be the Eurolife Liaison Officer although s/he may delegate the responsibility to another member of staff in the university. Unspent funds must be returned to the Eurolife Coordinator institution by 2 months after Horizon 2020 research project application.